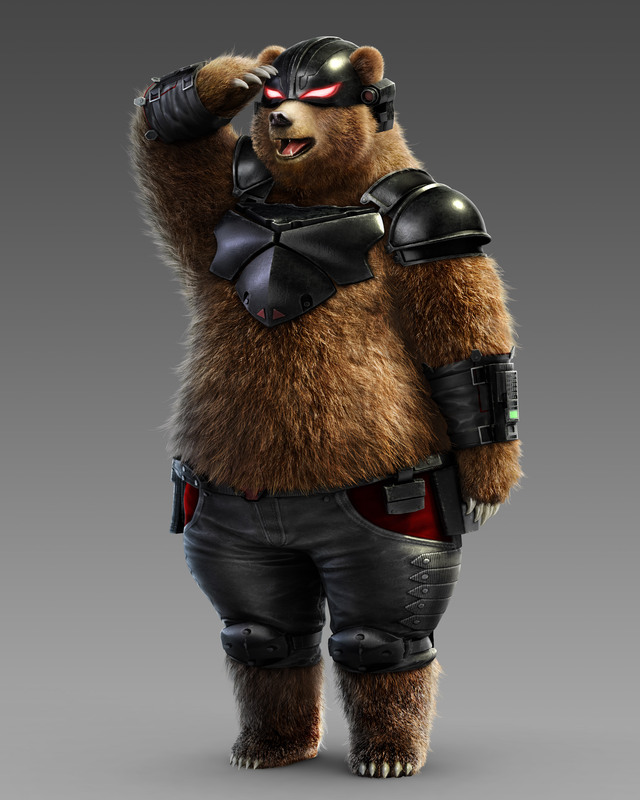 Heihachi's pet and bodyguard, the original Kuma participated in the first and second King of Iron Fist Tournament, with plans to defeat his rival, Paul Phoenix. 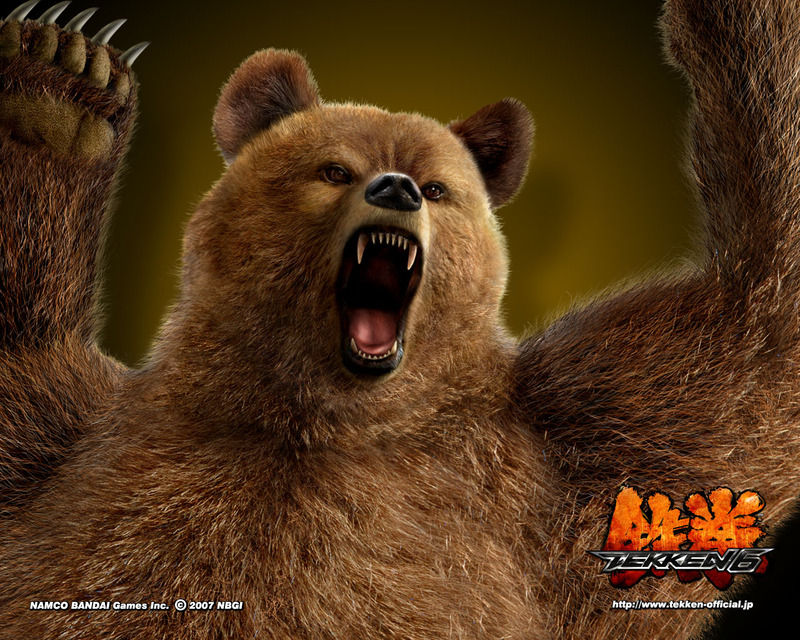 Kuma was trained in the arts of "Kuma Shinken" (AKA "Advanced Bear Fighting") by Heihachi. 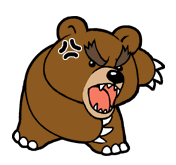 Generally speaking, bears are cruel animals, and Kuma is the worst of the lot. 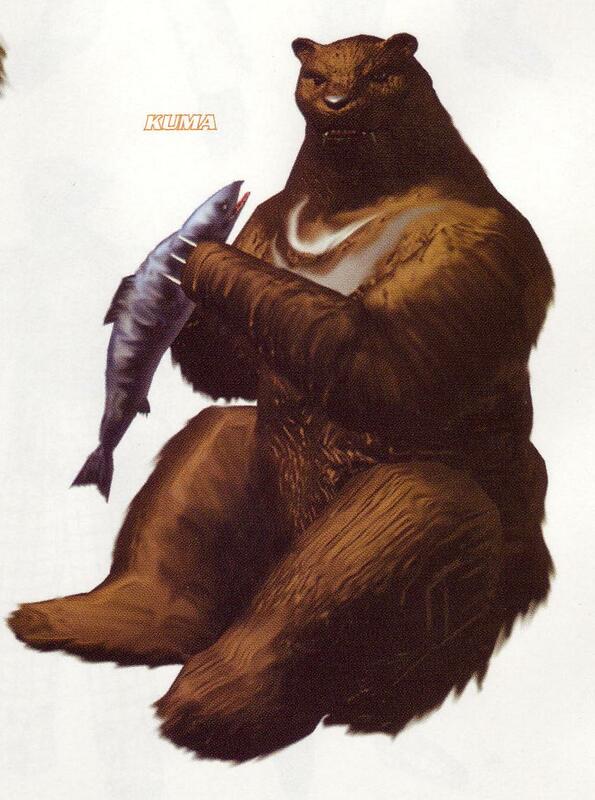 What makes Kuma even more terrible is the fact that his favorite food is human flesh. 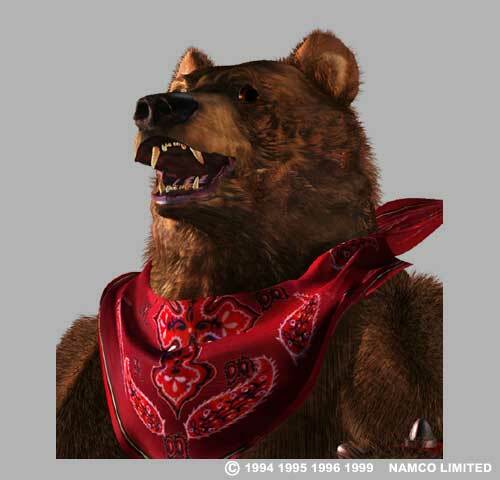 Kuma was once an abandoned pup in the forests of the Mishima estate. 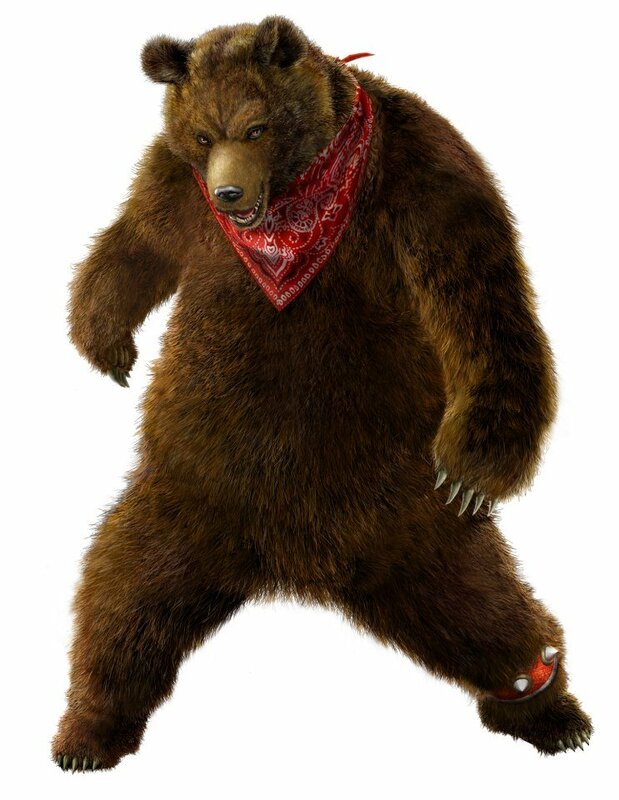 Heihachi found Kuma and took him in as his pet. 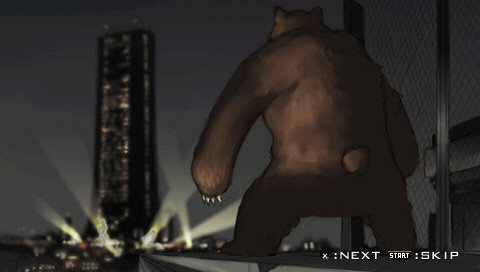 When Kuma reached adulthood, Heihachi built him an outhouse to cater for his impressively large frame. 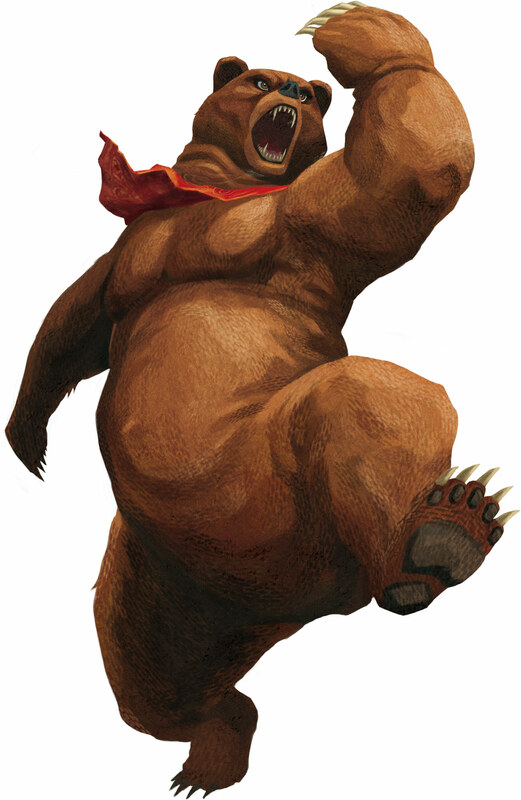 Heihachi taught the bear simple commands and hand signals, which Kuma picked up at an alarming speed. 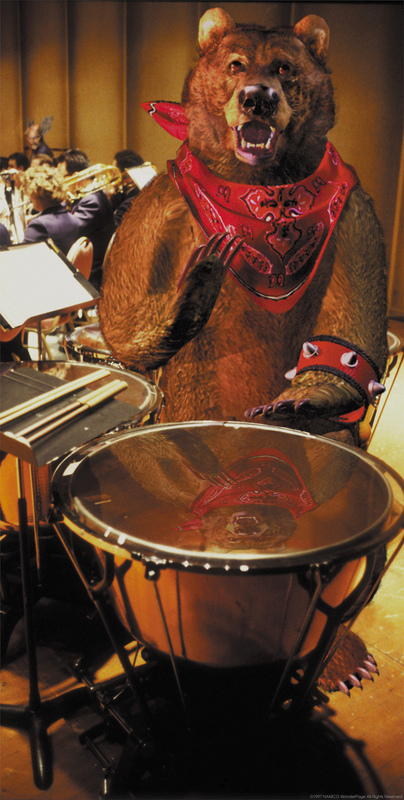 Kuma was even taught rudimental Japanese. 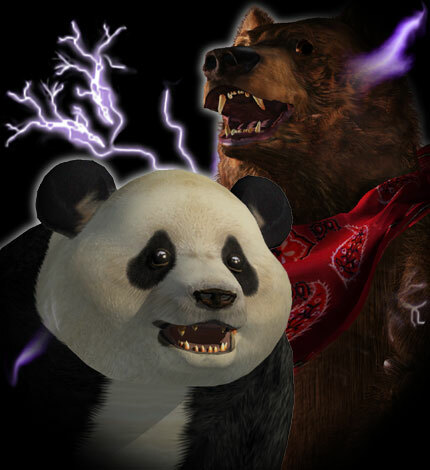 After two years, Heihachi realized the power contained in Kuma, and so he trained Kuma in martial arts. 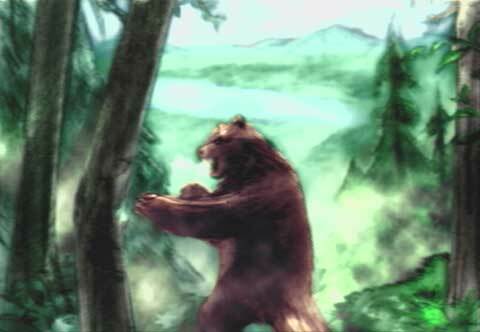 None of Heihachi's associates could understand why Kuma was so intelligent, which lead to a lot of them fleeing the estate in fear of the bear's intellect. 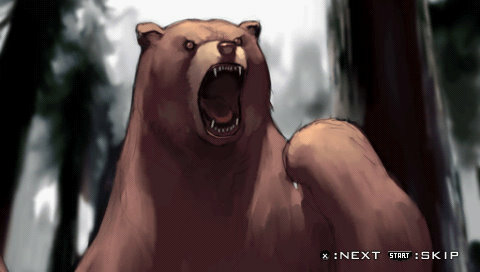 This was further reinforced by Kuma's penchant for the taste of human flesh. 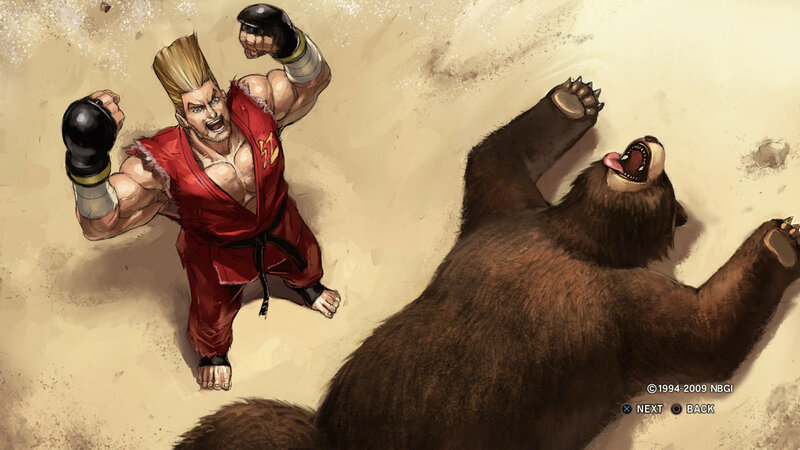 Kuma was impressed with Paul's fighting prowess, as he thought that the only strong human was Heihachi. 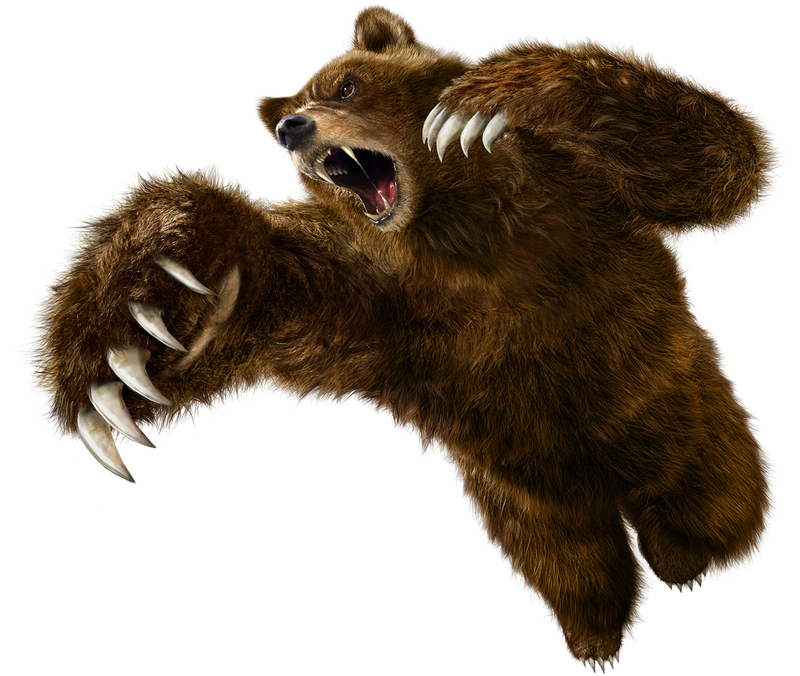 Heihachi was defeated in the first tournament by Kazuya Mishima, and so the two retreated into a mountain dojo to re-train. 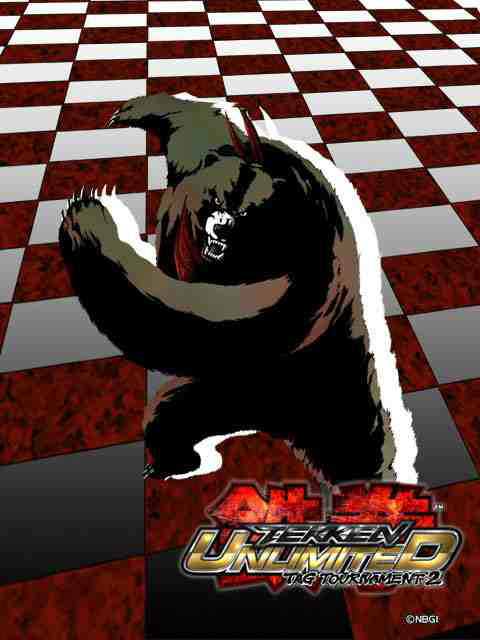 Kuma traveled to the second tournament with his master, vowing to destroy Paul Phoenix this time. 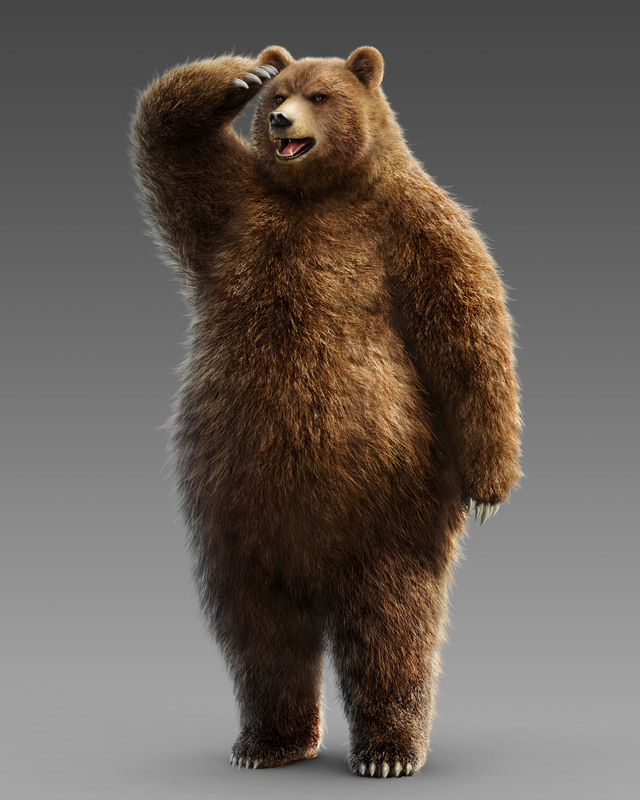 Sometime after The King of Iron Fist Tournament 2, Kuma died of old age but was succeed by his son, also named Kuma. 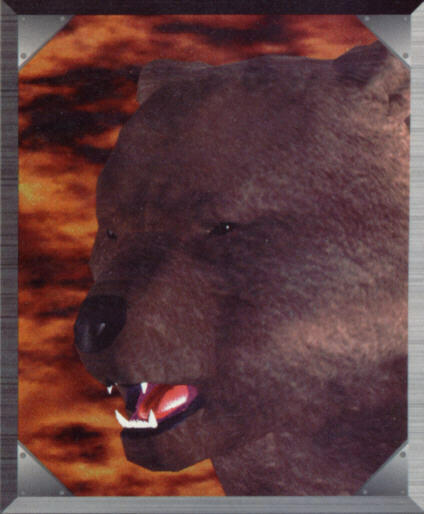 In Tekken 3, the new Kuma lost to Paul Phoenix. 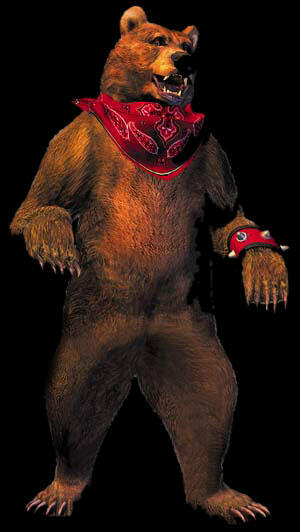 Kuma realized he lost to Paul because he had lost touch with his animal roots. 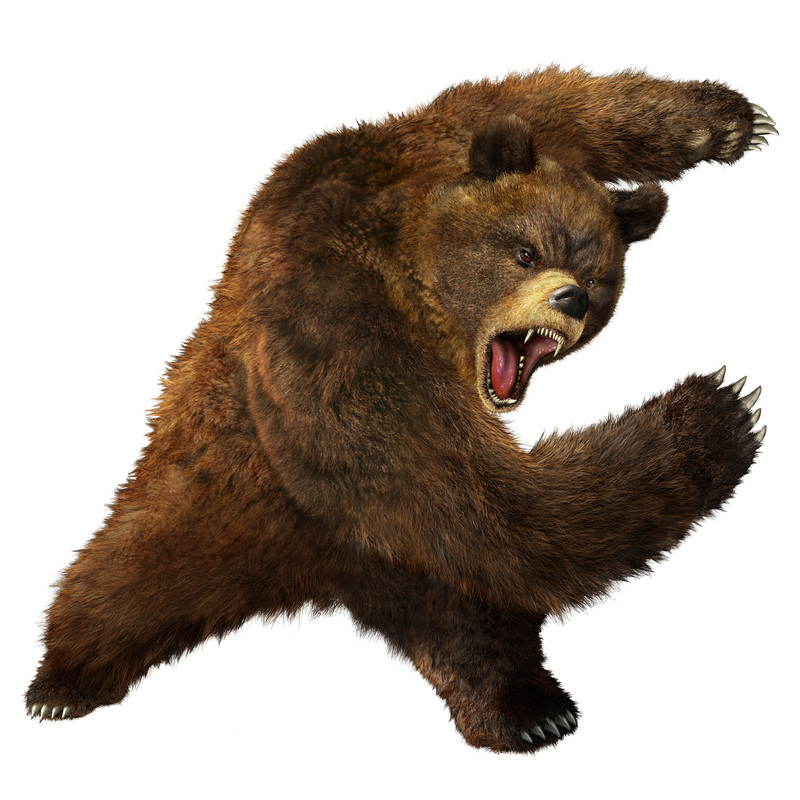 As long as he was Heihachi's pet, he would be unable to harness the power of his natural instincts, no matter how much he trained. 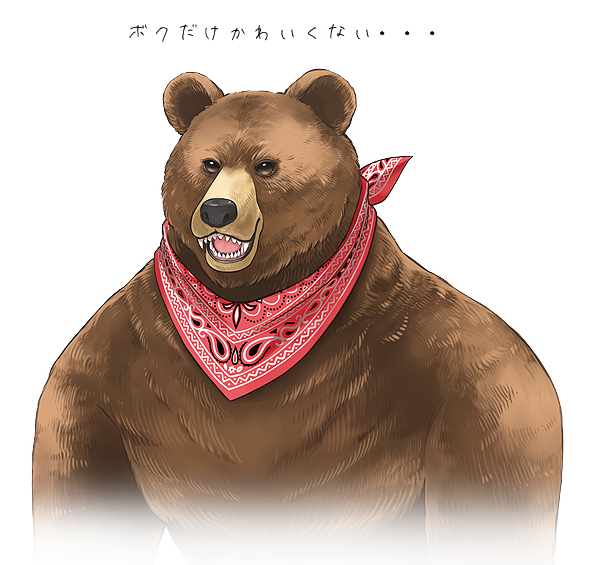 Determined to revive his wild instincts, Kuma trained by himself in the mountains of Hokkaido (a northern island of Japan). 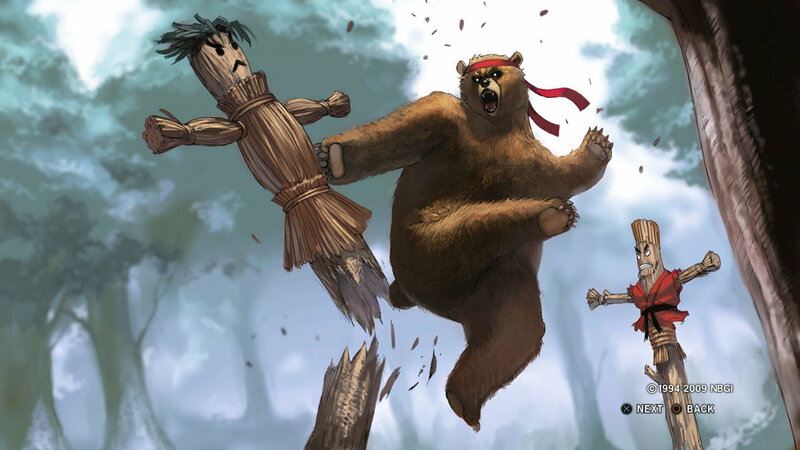 Life in the wilderness was more brutal than any training Kuma went through with Heihachi. 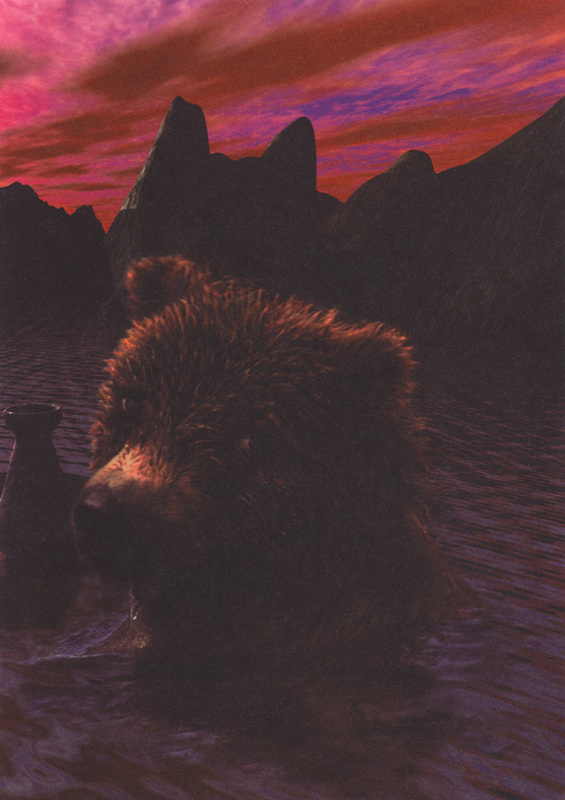 Despite this, Kuma continued his harsh regimen because he burned with the desire to defeat Paul. 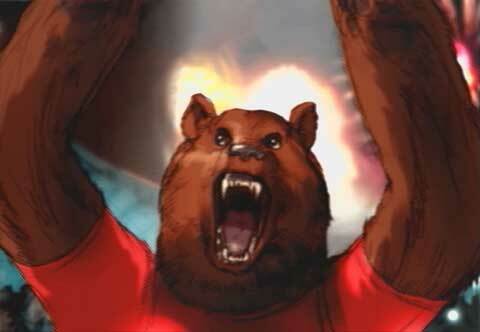 His efforts paid off, his skills improved dramatically to the point where he developed his own attacks. 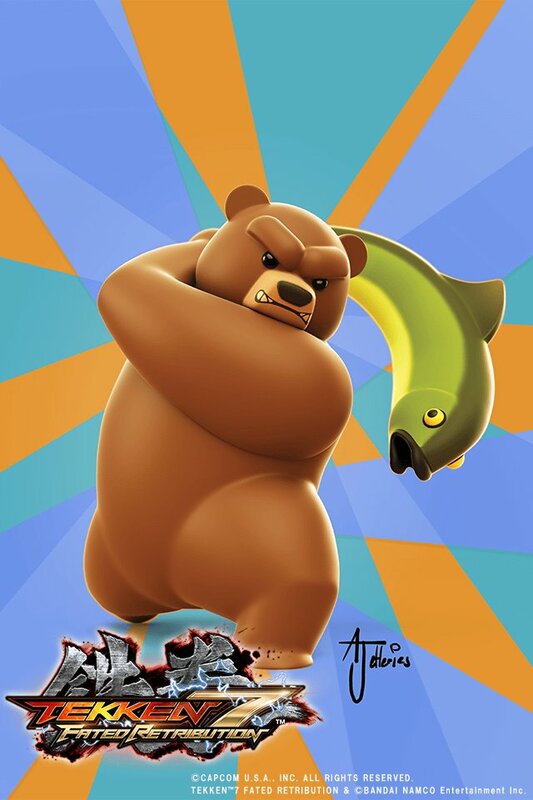 One thing Kuma could not get rid of, however, was his habit for watching television. 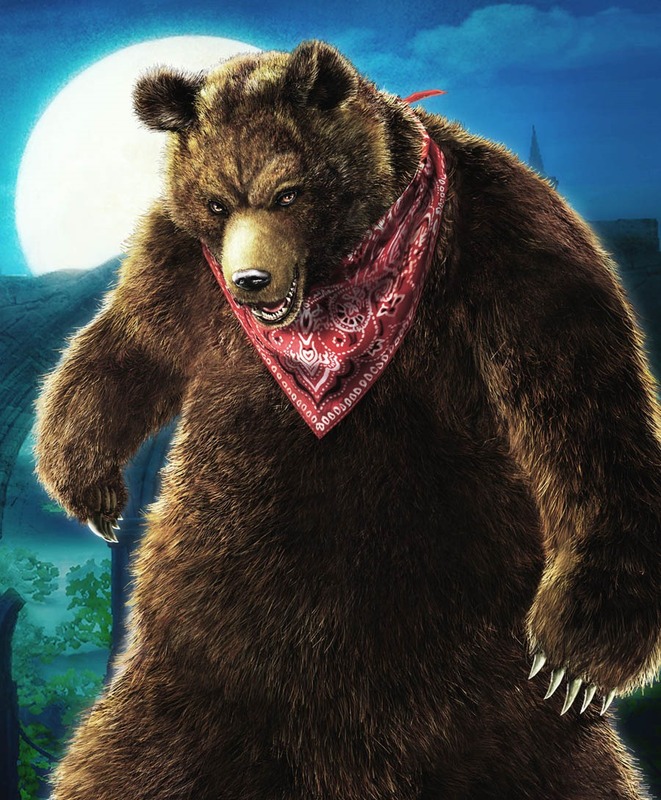 He went down to the village every so often to watch TV through the windows of the villagers' houses, much to the surprise of the villagers. 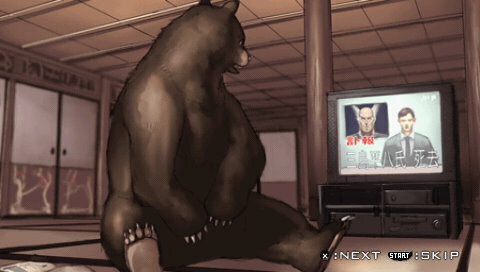 After waking from hibernation during his second year of training, Kuma went down to the village as usual to watch some TV. 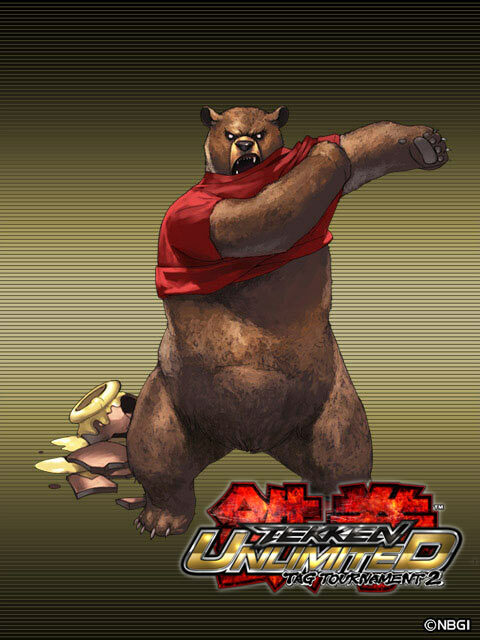 When he looked through the window of one house, he saw a commercial announcing The King of Iron Fist Tournament 4. 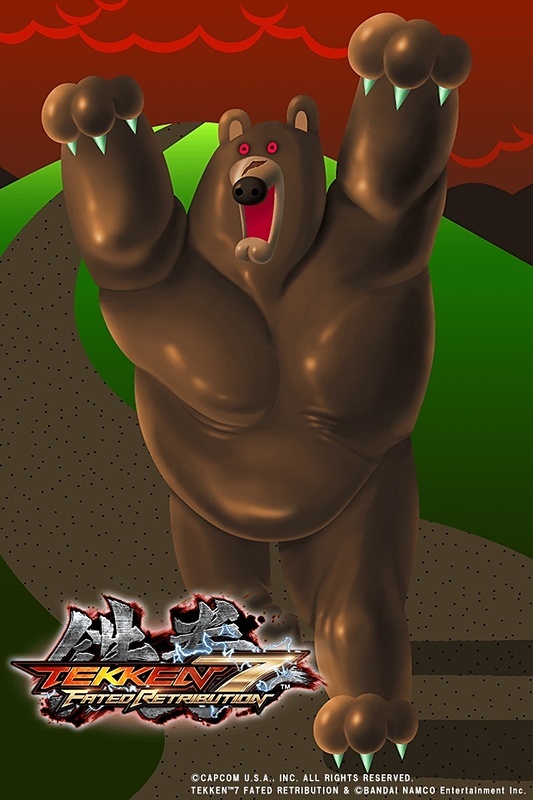 Kuma's instincts raged for battle, and he headed for the tournament site. 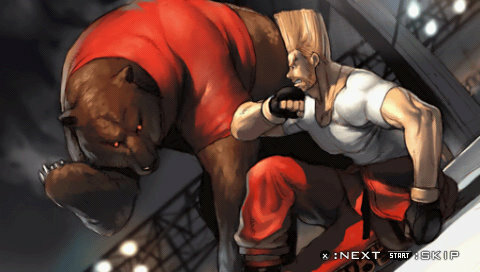 Paul would be at the Tournament without a doubt, and Kuma was determined to defeat him. 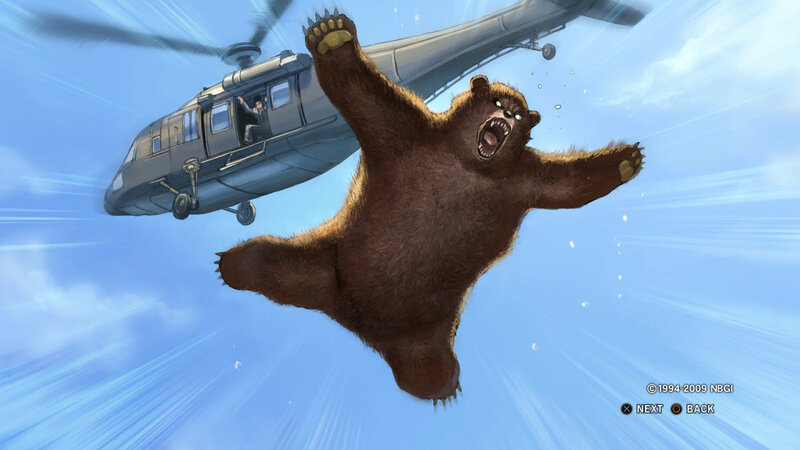 After the death of his former master Heihachi Mishima, Kuma believed no one but he could rescue the Mishima financial Group (MFG) from its captor, eager to do just that Kuma confronted the MFG. 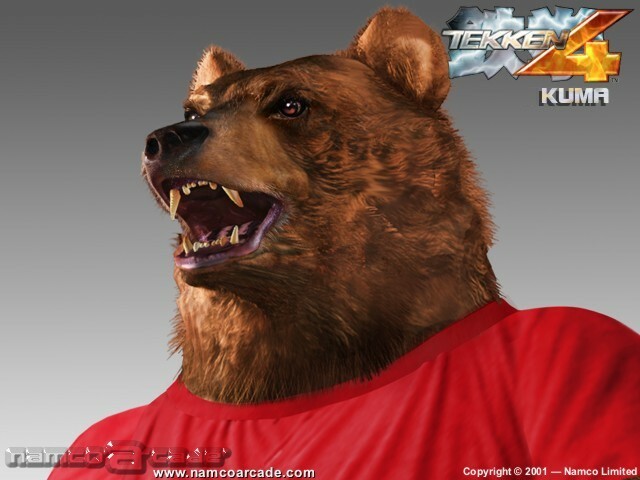 However, the MFG's new CEO, Jin Kazama, was waiting. 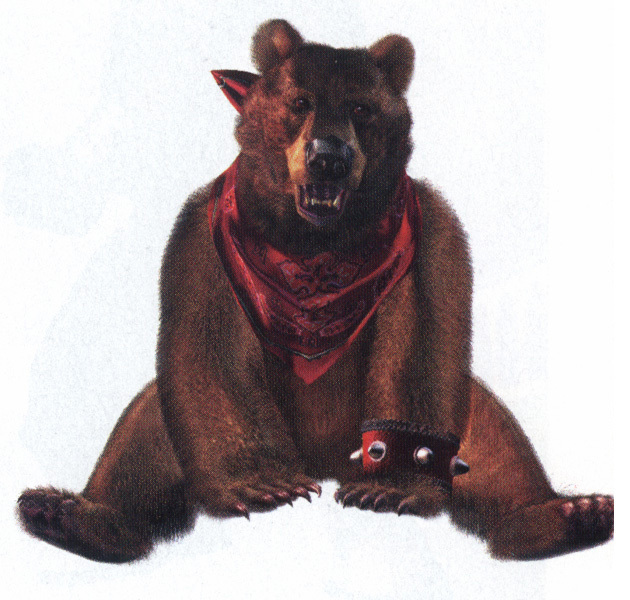 Kuma was easily beaten and discarded in the Hokkaido wilderness. 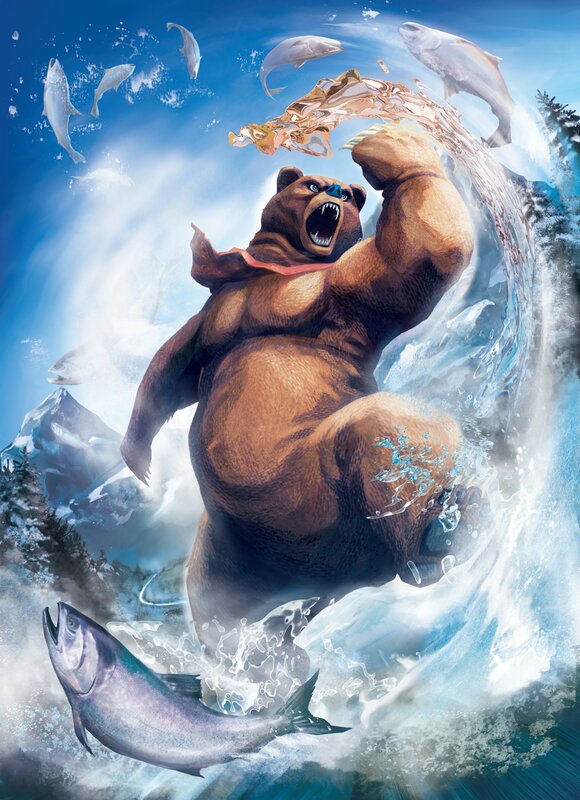 Though defeated his fighting spirit was not lost. 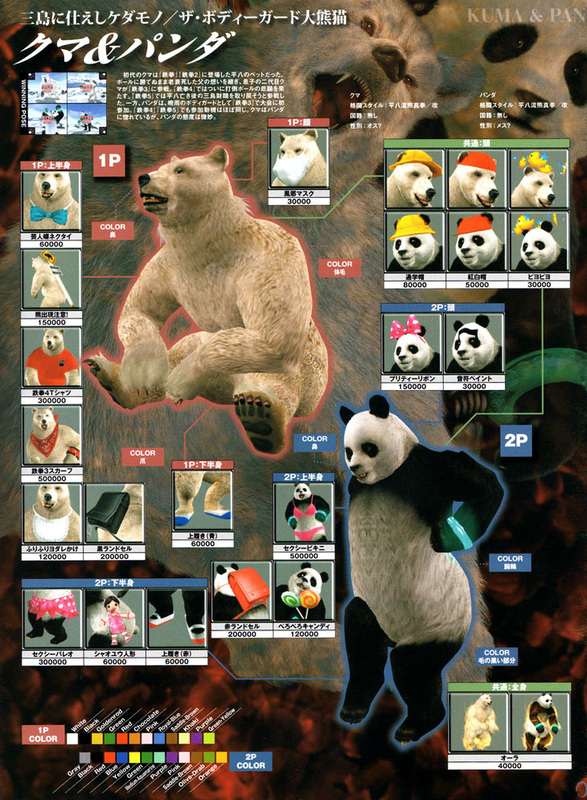 Kuma has always had a crush on Panda, but Panda always rejects him. 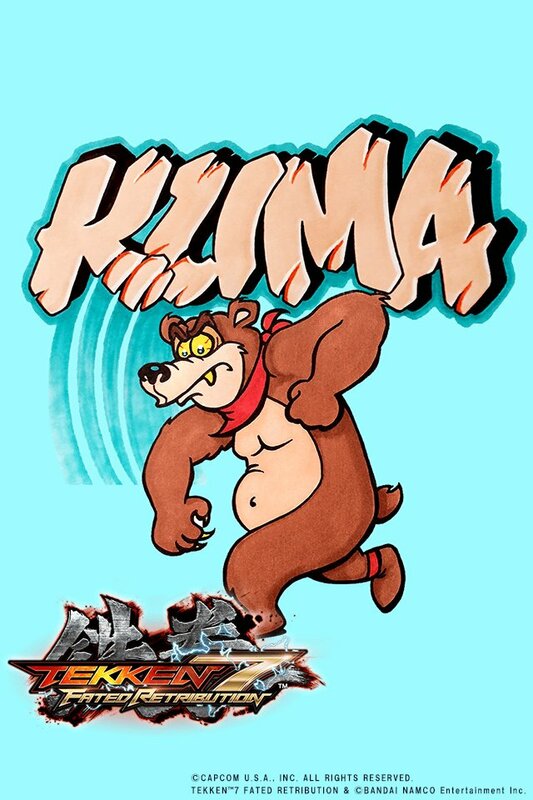 Kuma has certainly come a long way since his debut. 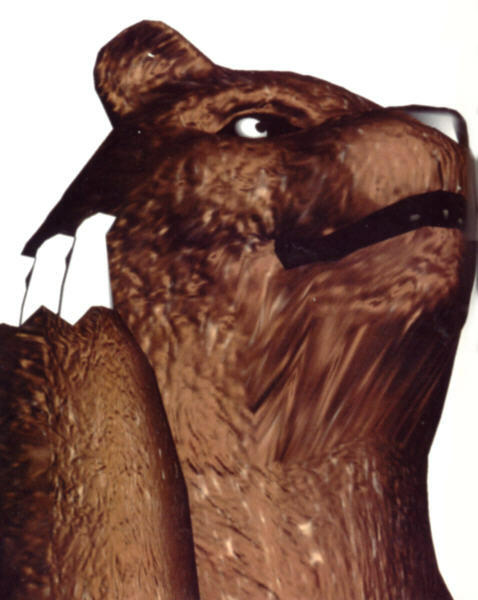 In the first couple Tekken games, he wasn't much more than a big, brown, polygon blob monster. 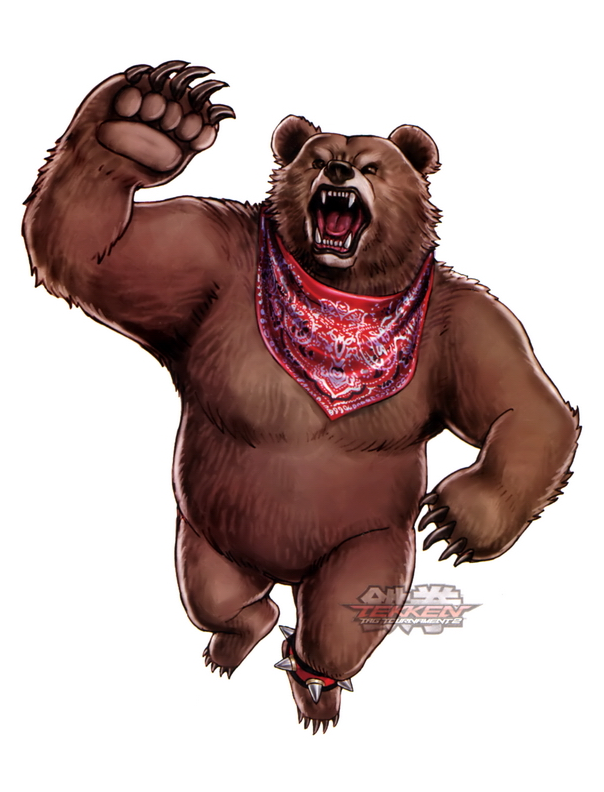 ^o^ Along with his in-game rendering, Kuma's fighting style (AKA "Advanced Bear Fighting") improved greatly over the years. 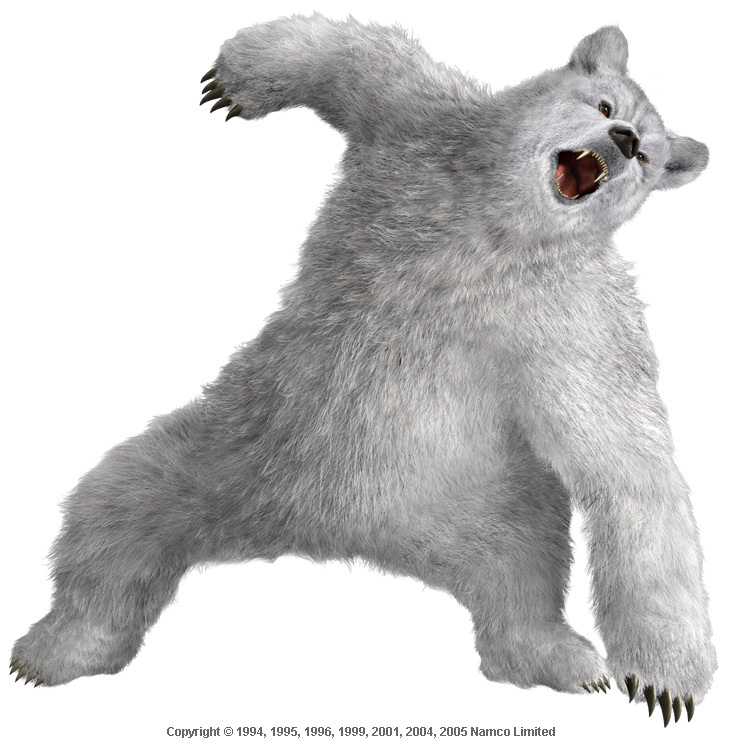 Kuma acquired new and epically hilarious animations with each sequel to Tekken. 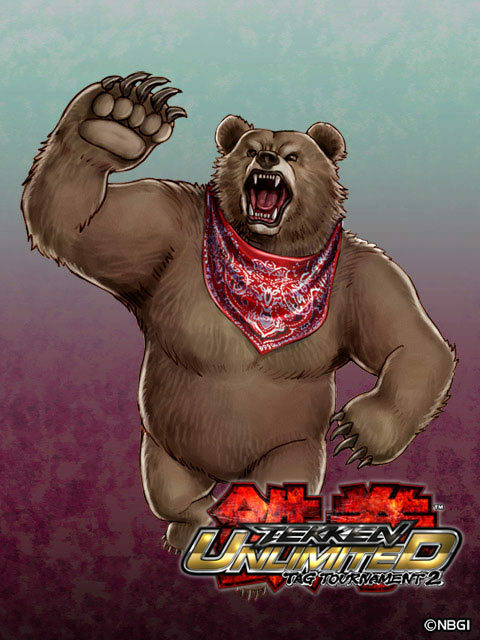 In addition, nearly all of Kuma's in-game endings are hilarious (some of the best fighting game endings ever), and his rivalry with Paul Phoenix was always entertaining. 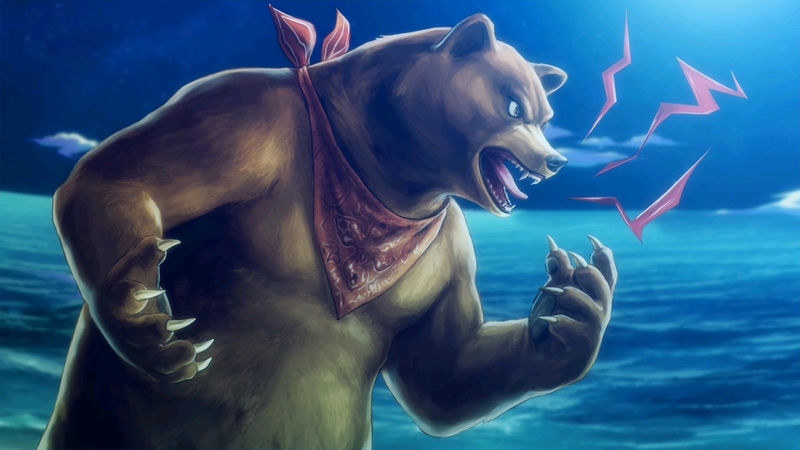 You can hate on Kuma all you want, but at the end of the day, you can't deny he's a great fighting game character. 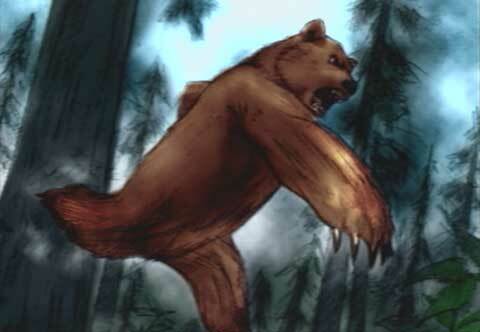 And if you disagree, Kuma will claw your face off and eat you. 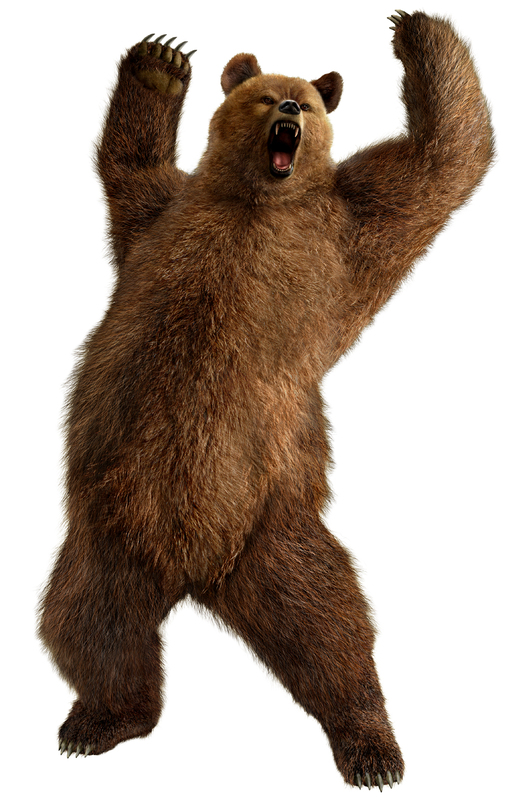 Because he's a f***ing bear... and that's what bears do when you disagree with them.